The Children’s Center is committed to allowing children to grow at their own pace in an environment that encourages curiosity, exploration, and discovery. Children are guided by Early Childhood Education professionals who understand the importance of creating a safe, nurturing, and enriched environment. Using the Connecticut Preschool Curricular Goals and Benchmarks and Connecticut’s Guidelines for the Development of Infant & Toddler Early Learning as a framework, teachers plan curricular goals and monthly lesson plans that address Cognitive Development, Personal & Social Development, Creative Expression/Aesthetic Development, Physical Development, and Language Development and Communication. Daily activities encourage children to master self-help skills and provide opportunities to observe, perceive, explore, investigate, imagine, laugh, persist, and problem solve. Our Intentional Teaching practices focus on balance: active and quiet times, indoor and outdoor activity, large and small groups, and structured and unstructured play. 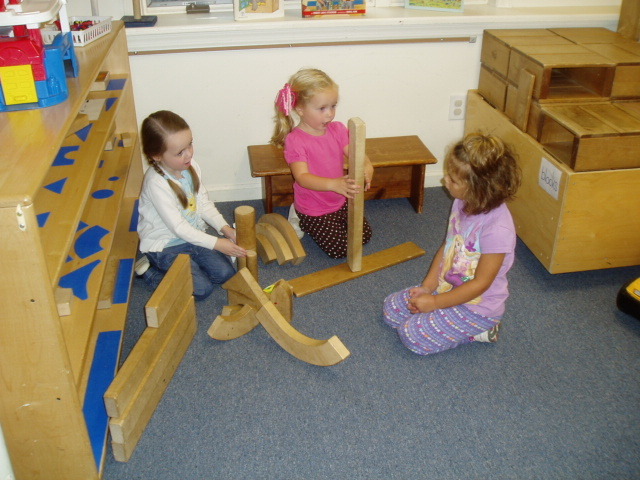 We recognize the value of play as it affects learning in curriculum areas such as math, science, language, literacy, creative expression, and motor skills. The classrooms’ regular routines and schedules provide comfort and security for each child. At the same time, our teachers remain flexible enough to encourage choice and allow the interests of the children to emerge. The adult/child ratio is intentionally low so teachers have the time to work closely on specific goals and objectives for each child, as well as for the class as a whole.